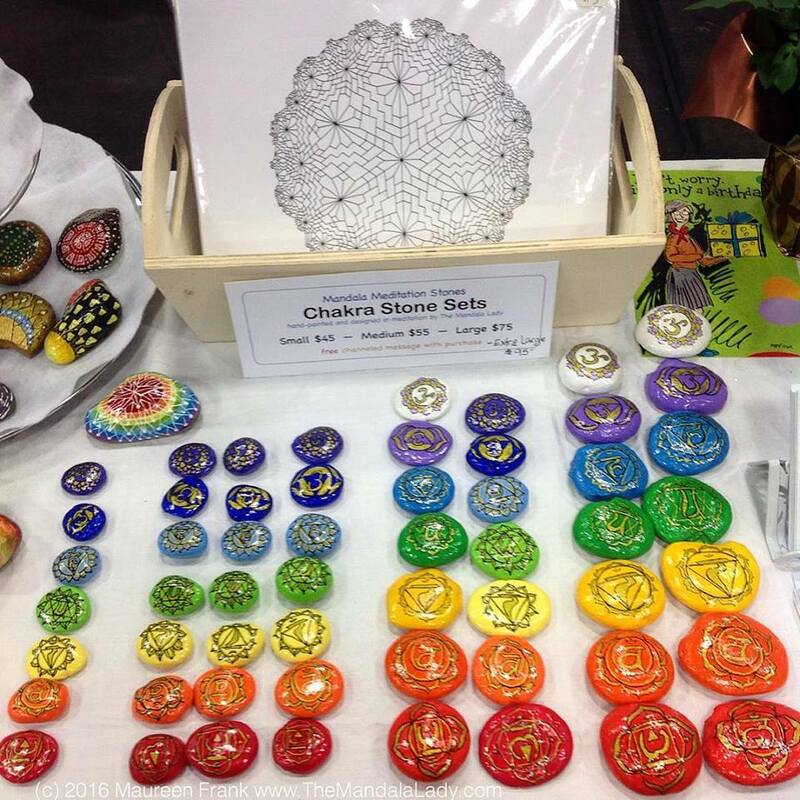 I created my Chakra Meditation Stone Sets to enhance your energy balancing practice, to help you better focus on aligning your body’s chakra system, and, most importantly, because I was guided to do so. The stones are hand-picked and hand-painted in meditation. On one side is the appropriate hand-drawn charka symbol, on the other side is its affirmation and/or mantra. I create these sets in four sizes (small, medium, large, and extra large), in one of two color systems, and either with the stones fully painted or partially painted to expose the stone itself. For Energy Workers, Massage Therapists, or Reiki Practitioners these sets help you assist your clients. You can place these stones on their respective body points giving you and your clients a more visceral energy experience. PLEASE NOTE: These stones can not be heated; heating them may damage the varnish and/or paint. I coat them with multiple layers of artist quality liquid varnish to seal and protect them. Add it to your altar or sacred space. chakra with its vibration while reciting its mantra. order (1-7), touch each stone for one deep breath. inhale, then say the chakra’s mantra on the exhale. as well as to receive any insight about the issue from the body. For legs, use the Root stone or whatever feels best to you. Hold the stones to help with emotional or thought issues.